Competition time: can you identify the before and after photos? 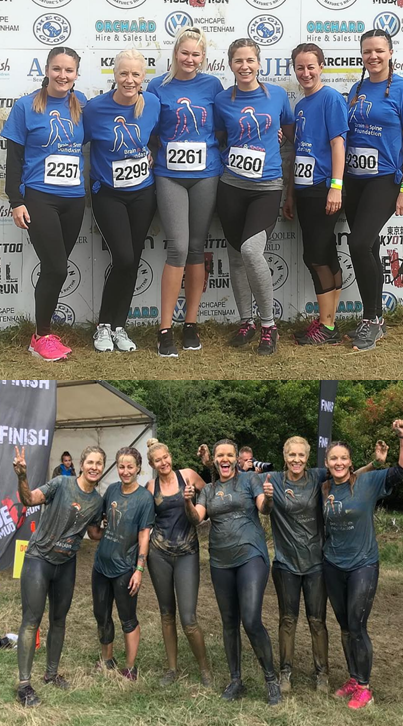 Holly Davis, Jan Phillips Kerri Crowley, Anna Higgins, Sam Hopton and Lucie Pospisilova are currently working at The Dean Neurological Centre in Gloucester, so together they formed the Dean Runners team to take on the gruelling, muddy challenge. 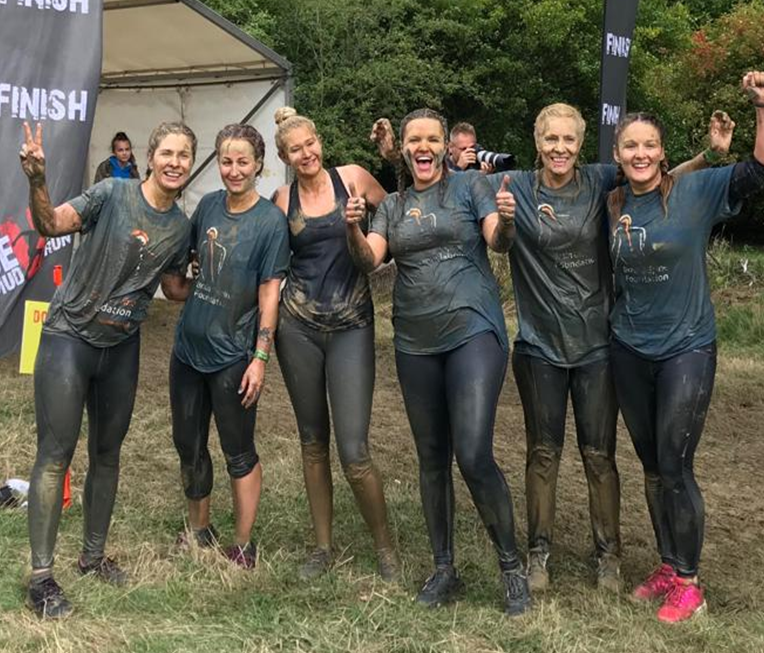 The Mudrun was set in the Cotswold countryside and comprised of 10km of arduous terrain navigating over 30 brutal obstacles set to test even the strongest of competitors and it certainly did! Whilst some of the team had trained to manage the distance others hadn’t and we probably didn’t truly envisage just how physical and muddy this challenge would be! We chose the BSF as their work is relevant to the clients we care for and treat at The Dean on a daily basis. We wanted to pick a charity that provides education and support for a variety of neurological conditions and as the charity relies on voluntary donations we wanted to do our bit. Thinking of our clients and the complex challenges they face was our motivation when the going got tough on the course - we pulled together as a team and all 6 of us made it across the finish line looking very different to how we started the event! The sense of achievement was amazing! In total we raised £510 for the BSF and thoroughly enjoyed getting incredibly muddy in the process. We are hoping to complete other muddy challenges for good causes in the future. Thank you so very much to Holly, Jan, Kerri, Anna, Sam and Lucie for taking on this challenge and raising a fantastic amount of money to help people with neurological problems. Good luck to you all for your next muddy adventure! Would you like to take on a challenge in 2019 and raise funds for the Brain & Spine Foundation?